MUZAFFARGARH: A huge quantity of furnace oil and petroleum was spoiled when two tankers overturned in different localities of the city. 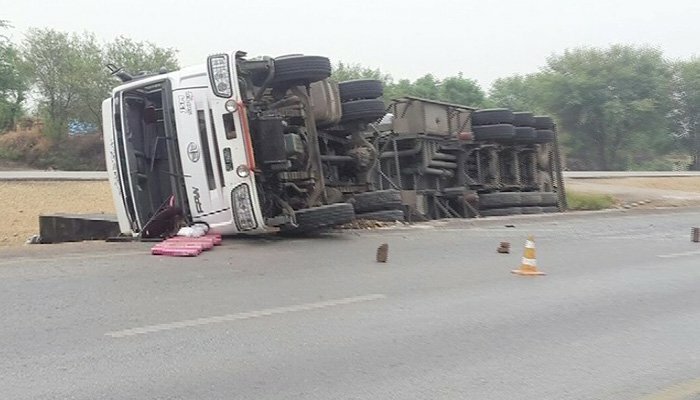 According to rescue sources, an oil tanker carrying 50,000-liter furnace oil turned turtle after hitting a trailer at Langar Sarai Road in Muzaffargarh. Similarly, another oil tanker overturned in suburbs of the city spilling petroleum over a major thoroughfare. The roads where the accidents occurred were closed to traffic.